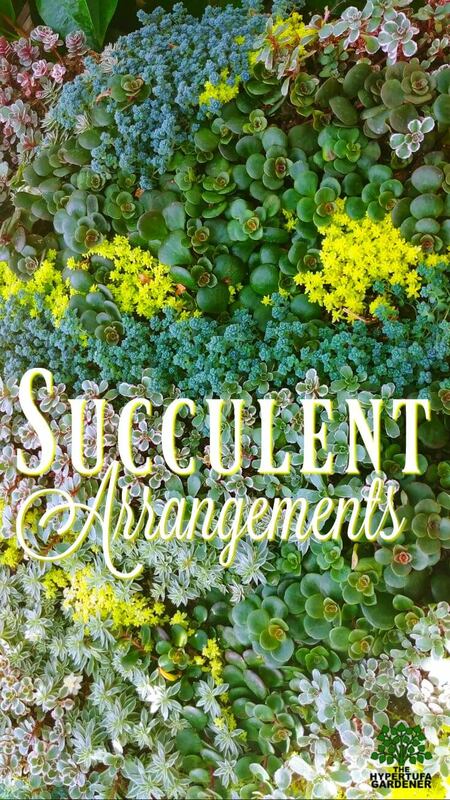 Do you ever wonder how people get so many ideas for succulent arrangements? When I look at some of the creations I see, I wonder how they come up with these ideas. Some are so breathtaking and I really don’t think I have the ability (not to mention the area) to do them, but I can do it on a smaller scale for sure. 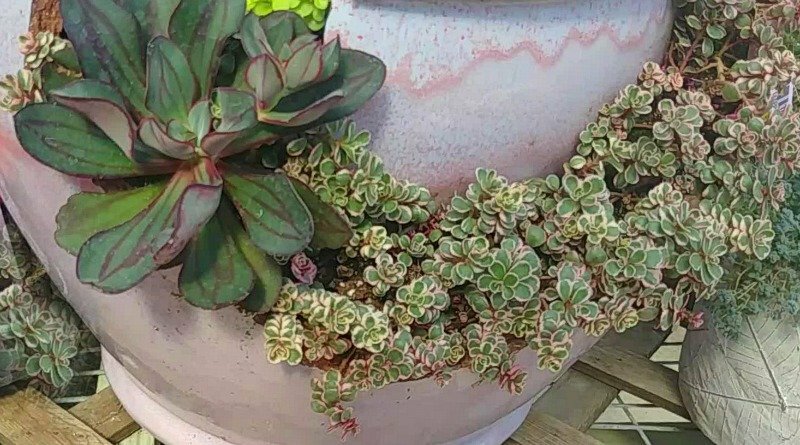 BTW, they sold their succulents in sections which they labeled Annuals and Perennials. But all of those annuals can be grown inside all year around in the colder areas. 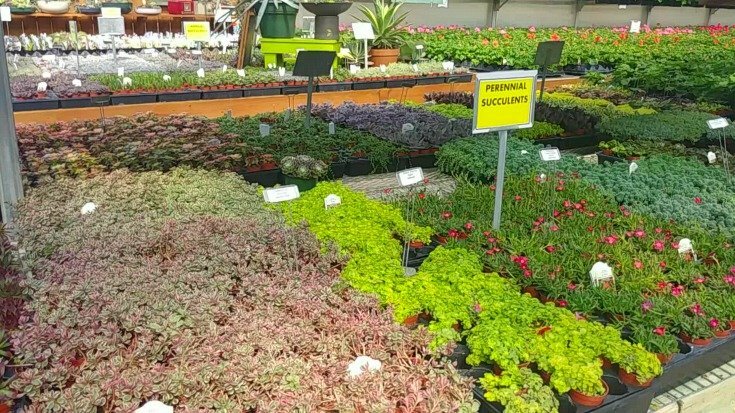 But since I am in Ohio, USDA Zone 6, it helps their customers to decide which they want to buy if they are only going to get one season out of them if they plant them outdoors. 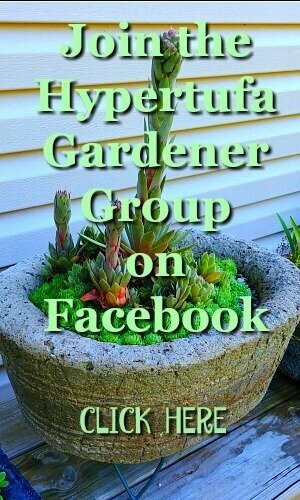 More posts about succulents on the blog. 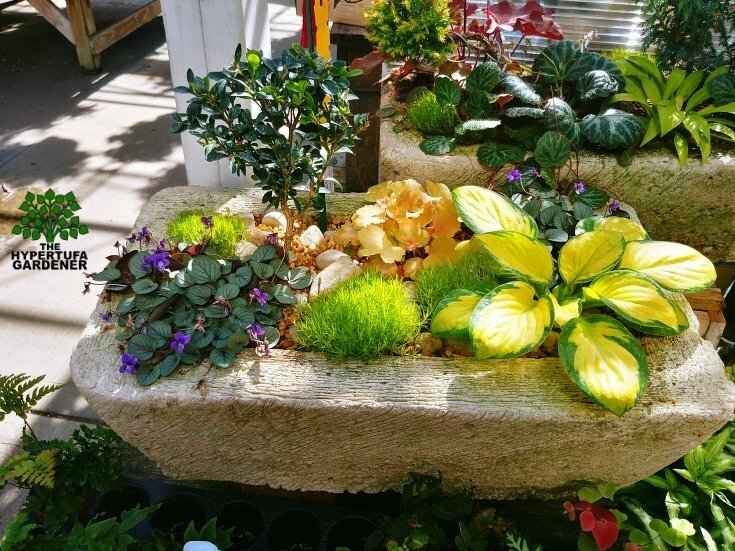 As can be seen in the photo above, hypertufa troughs (or any planter for that matter) can include any kind of plant you desire. These smaller versions of plants are wonderful all grouped together. Check out that tiny heuchera in the back middle. Isn’t that just cute as a button? These mosses and tiny trees look so “world-in-miniature” to me. 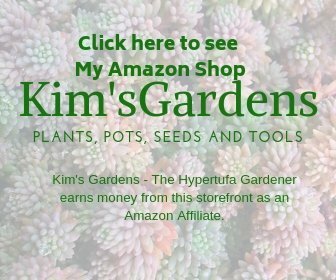 I have planted the small evergreen trees and they stay fairly small for a few years. 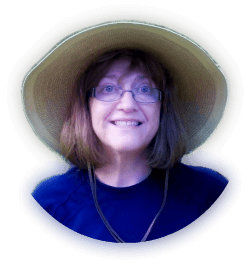 We made a video of some of the things I saw while we were visiting and buying more plants that I don’t need but want…you know what I mean. I want to share this so you could get some ideas like I got when I was there. Disappointed that I missed some of the plant’s names. It’s best always to get the plant marker when you purchase one, but I misplace those and then it is so hard to remember or to research what the name actually is. Look at this awesome table! I can just see that on my deck. 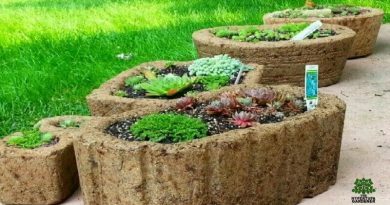 I would plant it with only hardy succulents and perennials since I prefer that I would not have to take it inside in the winter. Too heavy and too much room taken. But those of you who have greenhouses and such, go for it! 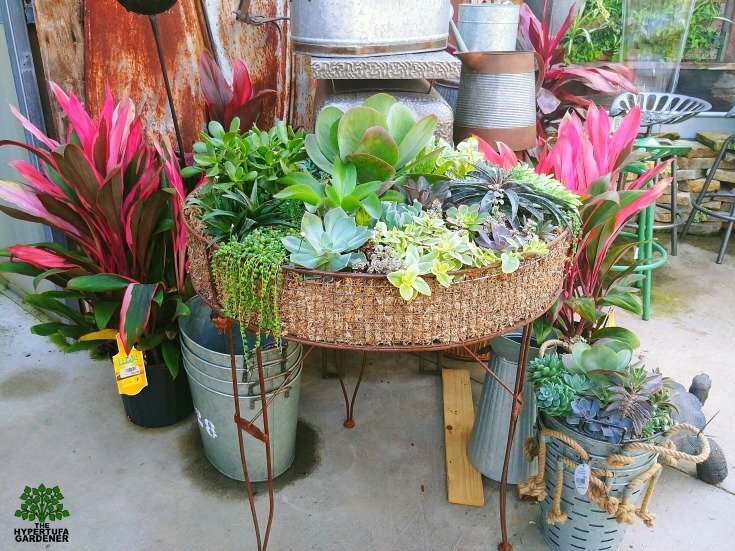 In fact, I get really jealous of those of you who get to take your succulent arrangements inside a greenhouse. Oh my, think of how many I would have! 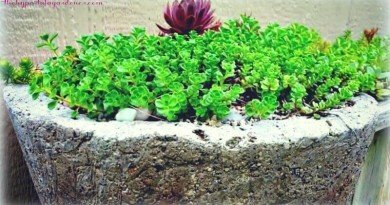 ← Little Hypertufa Planters ! So Cute! 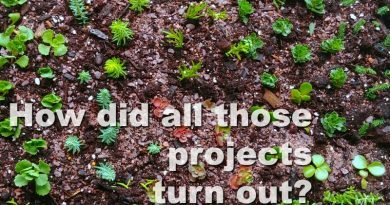 Project Updates – How Have They All Turned Out? A Few of My Favorite Hypertufas!